President Donald Trump is such an indiscriminate liar that he sometimes doesn’t even know he’s lying, FBI Director James Comey said in an interview with ABC News that aired Sunday night. He said Trump was “morally unfit” to hold his office. 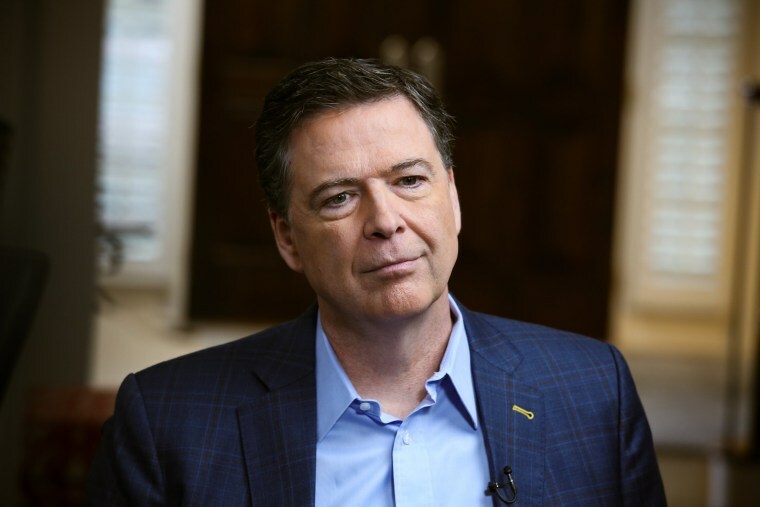 In hours-long interview with ABC’s George Stephanopoulos, parts of which aired on “20/20,” Comey recounted many of the details he revealed in his memoir, “A Higher Loyalty: Truth, Lies and Leadership.” The interview was conducted before NBC News and other news organizations obtained copies of the book and reported many of its details last week, so the discussion included no responses to Trump’s tweeted outrage since then. Trump lies are so promiscuous that “sometimes he’s lying in ways that are obvious, sometimes he’s saying things that we may not know are true or false, and then there’s a spectrum in between,” Comey said, according to ABC News. “The challenge of this president is that he will stain everyone around him,” he said. And he indicated that the president’s behavior in a one-on-one meeting could have been criminal. Recounting a key section of his book, Comey said that in a meeting in February 2017, Trump asked Comey to drop the FBI’s investigation of Michael Flynn, who had recently resigned as his national security adviser. “It’s certainly some evidence of obstruction of justice,” he said. He said that when Trump asked him privately to drop the investigation of Flynn — an allegation Trump has denied — it was “certainly some evidence of obstruction of justice.” But he said any criminal charge would be up to a prosecutor, who would evaluate Trump’s intention. Comey revealed little in the interview that isn’t in the book. But one thing he did offer was his confirmation that the FBI already knew all of the major allegations in the so-called Steele dossier before it even learned of the much-debated 35-page opposition-research document alleging that Trump’s presidential campaign colluded with Russia.